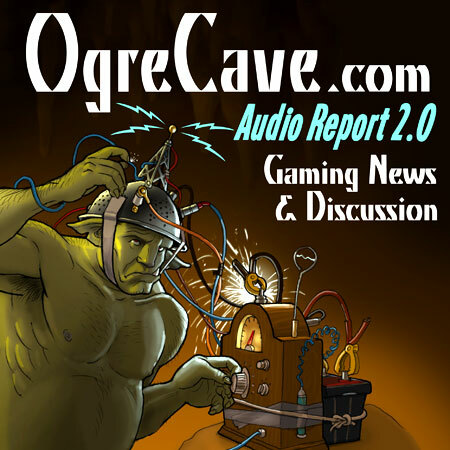 We’ve got a lot to say in the latest OgreCave Audio Report episode. First, we talk of DunDraCon 2015, wherein Allan describes some of the things he saw at the show. Then we hit Kickstarter hard, describing a variety of projects, both completed and upcoming, while voicing thoughts on what the crowdsourcing site should really be used for. Finally, one particular volunteer at PAX East is making the entire organization look bad, so they’d really better get a handle on the situation ASAP – and not by simply ignoring it. Click here for show details and to listen to the new episode. Watch here soon for DunDraCon 2015 pictures, and everything else we’re up to as well. In our first show of the new year, we’re already covering a lot of ground. In just the first half of the podcast, we go from Allan’s first impressions of Dungeons & Dragons: Fifth Edition to Mike’s obsession with space games, and back around to enjoying Magic: The Gathering after many years of abstinence. Then we drag out a pair of surprise gaming artifacts, speak of upcoming conventions, and more. Click here for show details and to listen to the new episode. As always, share and enjoy. We’ll have a report on the happenings at DunDraCon 2015 in our next episode.